Super Bowl betting is heating up, it's happening tonight! We are the 3rd of February 2019! Both teams this year are quite evenly matched and there are some great Super Bowl betting options available. Now, the main question for many is where to bet on the Super Bowl. Check out the table of Super Bowl betting sites where you can place wagers and earn some amazing payouts. Below, you'll also learn about some NFL Super Bowl odds and the different available markets. 21+ Terms & conditions T & C ? PlaySugarHouse is one of our favorite online Sports Betting Operators in New Jersey. (Use their promo code SPORTMAX to get a special bonus too!) They have a variety of options to make your sports wagering experience a good one. Take, for example, their jackpot parlay. With this, you can bet on multiple games and if you get them all, you'll win a huge jackpot! With 8 bets selected, the last jackpot was just over $100,000. SugarHouse also covers all the main sports betting markets. NFL, NBA, NHL, and the NCAA are all there, of course, but also get International Competitions like European Soccer leagues or Tennis matches. Not to overlook safety, SugarHouse has a handy My Bet History tracker. You can see your wins and losses over time; this makes for useful analysis to help you make smarter bets. Right now, you can download the app and view odds from anywhere but you can only make real money bets from with the New Jersey state lines. However, you can expect SugarHouse online and app sports betting to make its debut in Pennsylvania early in 2019 as well. +21 Terms & conditions T & C ? 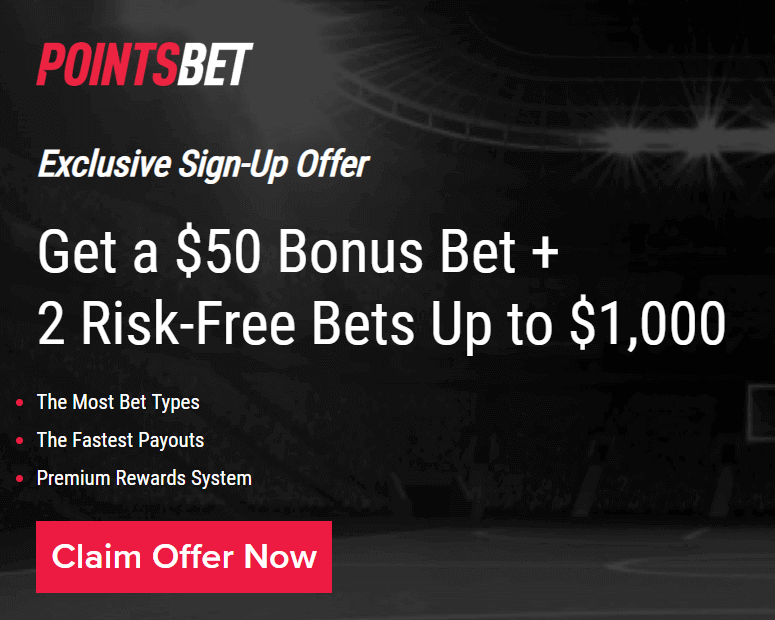 Use the PointsBet promo code to get an exclusive offer that is a $50 Bonus Bet and two Risk-Free Bets up to $1000. PointsBet is available in NJ with their totally new (to Americans, anyway) style of betting. Of course, there are the more familiar bet-types like moneyline and spread betting, but you've also got something called points betting. This is when you wager on the total cumulative points scored in a game. And every point over (or under) your wager will see you win (or lose). Bet $5 on an NBA game that you think will score over 200 points and the game goes for a total 215 points, that's a $75 win! But a low scoring game of only 185 will see you losing $75. A risky style of betting to be sure, but you can get some huge wins as well. There are also some great offers to claim as well. Initially, you'll get a $50 bonus bet without even needing to deposit. Furthermore, you've got the option to get some bet insurance on your first fixed odd bet and your first points bet (great for sports fans new to the betting world). If either or your first fixed odds or points bet loses, you can recoup each bet for up to $500 (a total of $1000 in bet insurance). BetAmerica is a top horse racing bookmaker for US-based punters AND an online sportsbook for New Jersey bettors. Their horse book is available in most states, while their sports betting platform is only in NJ (at this time). Their markets cover global horse racing tracks and if you use their experts tips and handicapping, you can easily track horses' progress on their way to big events like the Kentucky Derby or the Breeders' Cup. Their services make choosing smart bets easy. You also have access to live races and replays of past events. Soak up as much horse racing information with BetAmerica. Coming soon are a BetAmerica online sportsbook and online casino. Read about them on the BetAmerica website. If you signup now, you'll have access to the full breadth of BetAmerica gambling and betting entertainment services when they become available in your state. BetAmerica has a ton of experience managing odds from global horse races. What they've learned here has been expertly applied to their sports betting platform. Accessible from a desktop or via a mobile app, the layout is intuitive and easy to navigate. Making bet slips across different markets and games is no problem. Most people are probably only familiar with their horse racing product, so the sportsbook might take a little time to gain some traction. But like how BetAmerica is a leader in online horse racing, soon enough they'll become a leader in online sports betting. From Caesars Entertainment Inc., also the owner of all the Caesars Casinos across the US and in Las Vegas, comes Caesars Sports. It's their online and mobile sportsbook that playable from NJ. It has a well-organized betting interface with all the markets cleanly laid out. Sort between in-play betting, trending games, or just find your sport with a simple search. We like Caesars Sports because of its simplicity. There are no fancy, confusing elements to this betting platform. It's straightforward and easy to use, perfect for the newbie just learning the ropes or the veteran bettor that just want to see the lines and get to the point. 888Sport has been around a long time in Europe before moving their sports betting operation to the US. 888Sport brings experience with them and it shows; their betting interface is the among most streamlined and easy to navigate of the current sports betting operators. They've set the bar high. Get access to over 20 different markets at any given time with markets as big as the NFL to ones are narrow as Darts or Cricket. The 888Sport betting options successfully engage veteran bettors while remaining simple enough for the newbies. 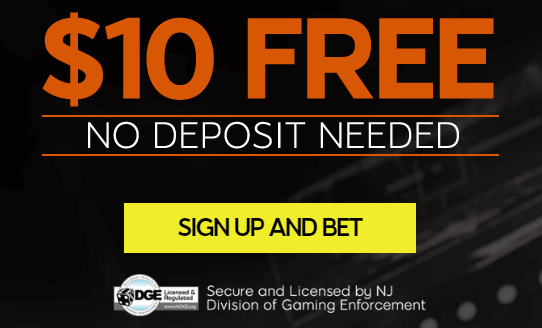 It's a great place to open a sports betting account for the first time and if you already have one with a different operator, we recommend using the $10 free no deposit sign up bonus to see 888Sport's services. 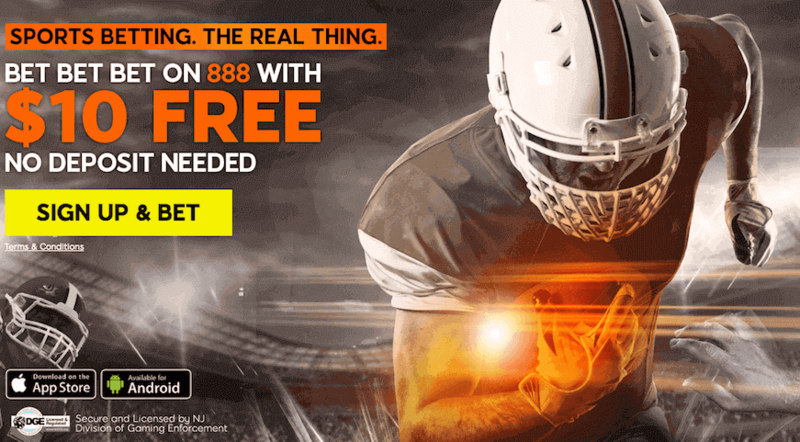 888Sport is currently only available for real-money betting if you're physically present within New Jersey. However, 888Sport has retail operations in Delaware and Nevada so they might just move online in those states as well. We'll update you on the latest states where you can bet on sports with 888Sport. When it comes to the current Super Bowl odds at US sportsbooks, you will find little difference. The Patriots are the Super Bowl favorites to win, making this their fourth Super Bowl appearance in the past five years. Wondering what’s the spread on the Super Bowl? The average spread betting on the Patriots is -115 on -2 and for the Rams, +2 is -105. As for Super Bowl betting lines, Super Bowl spread betting is the most popular option. However, if you are looking to win a bit more, you should also consider Over/Under betting. Overall, the Super Bowl spread betting odds are pretty even, ranging between 1.85 and 1.92 at top rated online sportsbooks. At this time, the Super Bowl odds to favor the Patriots. Now, if you are looking to start Super Bowl betting, you'll want to know some of our Super Bowl predictions. The current Super Bowl odds are running neck and neck for both teams. That said, while the Patriots are a favorite, the Rams could cause quite an upset. This means overall, the Super Bowl betting odds are pretty tight when comparing both teams. As you might've guessed, this year’s game is expected to be a high scoring one. Consequently, you may find it beneficial to place Super Bowl point spread bets over choosing a winner. Like last year, it seems success for the Patriots will come down to Tom Brady's performance. However, the running game needs to be on point as well, and the Rams have a strong defense. Naturally, that could present many problems for the over-confident Patriots squad. To maximize your chance of winning, Super Bowl betting lines on Over/Under may prove to be lucrative, since both teams are known to score high in regular games. Our Super Bowl prediction has New England at a slight edge over the Rams, but anything can happen. If you are placing Super Bowl spread bets, you may find these wagers deliver some handsome payouts. Taking into consideration the NFL Super Bowl odds, you can get a bit of a boost when betting on the Pats. With many betting options, you'll find 2019 offers some amazing Super Bowl betting thrills. Likewise, the best betting sites will cover all markets and will offer the best Super Bowl betting odds. When Super Bowl betting lines first started this year, the Rams were deemed to be the Super Bowl favorites. However, there has been a shift in the Super Bowl betting odds and now the Pats are on top and believed to be the team that will win. The question remains, what’s the spread on the Super Bowl? This is changing daily as more and more bets are being placed. Initially, the LA Rams began as single point favorites, but the Super Bowl odds have taken a shift and now, the Patriots have a two-point advantage. The main reason for this shift in Super Bowl odds is due to eth recent performance of the Patriot team. After winning the AFC Division, they played their best games when it truly mattered, making them the Super Bowl favorite. However, don’t write off the Rams just yet. You can make quite a bit of money with Super Bowl line bets and Super Bowl spreads. For two years in a row, the Rams finished first in the NFC and were the chosen team to reach the Super Bowl this year. Their overall record of 13-3 was quite impressive, making them a Super Bowl favorite. The Rams enjoyed some great wins at the end of the season as they beat the Saints and Cowboys in Divisional playoff games and the Championship game. A win this year would mark only the second Super Bowl title for the team in franchise history. The Rams have an impressive offensive line that will help them against the Patriots. However, they had some weakness during the regular season with defense. Many changes have been made and now, the defensive line is ready to block the Pats. These changes played a large role in the fluctuation of the Super Bowl betting odds. The Patriots have been Super Bowl favorites for a number of years. This year, a string of wins has landed the team in the main event once again. Consequently, they are surely the Super Bowl favorite team. With strong defensive and offensive lines backing Tom Brady, the Pats are expected to put on quite a show. During the regular season, the team went 11-5, which was just enough to earn them the division title. Granted, their season didn’t start off great, dropping a few games. Luckily, they soon got back on track with a six-game winning streak. This year is their third consecutive Super Bowl and with some amazing Super Bowl betting lines, you'll have the chance to achieve some stunning payouts. The current Super Bowl odds reflect the team's strength as they are tipped to win. Now, if you are looking on where to bet on the Super Bowl, be sure to consider out recommended sites and take a look at the great Super Bowl betting lines. If you have done some research and are ready to engage in Super Bowl betting, be sure to check out the great mobile apps provided. With these, you can enjoy Super Bowl spread betting and some great NFL Super Bowl odds. You may think that betting on the Super Bowl favorite is the way to go, but the odds will vary from one sportsbook to another. As a result, you may find that wagers on the Rams will yield some great returns. Remember, take some time to review the Super Bowl betting odds at different sites before making any final decisions. When choosing a type of wager, be sure to consider Super Bowl line betting and spread betting. Helpfully, the mobile apps highlighted here offer great Super Bowl odds and you will find it very easy to begin placing wagers. Want to know where to bet on the Super Bowl? Take a look at the brief descriptions of the top-rated mobile apps that are now supporting Super Bowl betting lines. Here you will find everything you need to begin Super Bowl betting activities What to know what’s the spread on the Super Bowl? 888 provides all the latest information so you can make informed decisions. 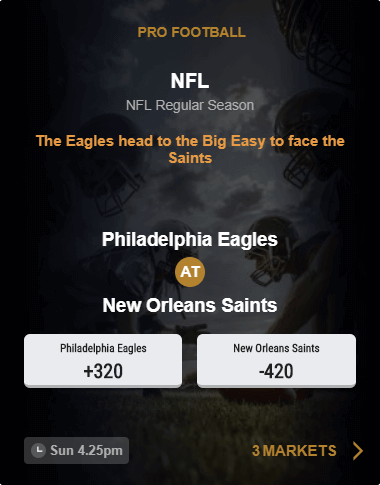 The mobile app is easy to use and supports all types of bets so you can enjoy Super Bowl point spread bets, Super Bowl line bets and so much more. 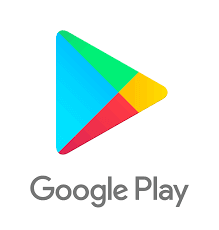 At 888, you can download the mobile app on an Android or iOS device or you can use the web browser to instantly connect with 888 with no download. No matter how you access the site, you will find some of the best Super Bowl odds being presented. Super Bowl betting options are widely available at SugarHouse and you will find the best current Super Bowl odds being offered. 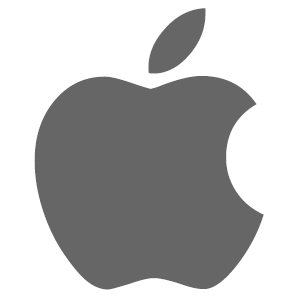 The app can be downloaded on Android and iOS devices. What's more, you'll even be able to claim a great welcome bonus to use for Super Bowl betting lines. This is one of the most popular Super Bowl betting sites operating in the US. Here, you'll find an excellent range of Super Bowl lines. Thankfully, the mobile site is designed for fast and easy access. Likewise, with updated Super Bowl odds, a wide overage of betting options, and great paying bonuses, this site will meet all of your Super Bowl betting needs. If you are wondering where to bet on the Super Bowl, look no further. Any of these highlighted sites will offer the best Super Bowl betting lines and present you with the current Super Bowl odds. What's more, if you've never engaged in Super Bowl betting, there are tutorials to help you choose the right bet. Even though the Rams started off as the Super Bowl favorites, things have changed, giving the Patriots a little edge. However, you will find great Super Bowl betting options on both teams. And with some Super Bowl point spread bets, you can walk away a winner, even if your favored team didn't win. There can be more value in Super Bowl spread betting than with betting on the winner, so be sure to examine all Super Bowl betting lines. You will want to consider spreads and always know the current one. What’s the spread on the Super Bowl this year? Well, it began with the Rams having a one-point advantage, but this has shifted to the Patriots as being two-point favorites for this year’s Super Bowl. If you truly want to make some money off the game, be sure to consider the Super Bowl point spread and Super Bowl line betting options. In most cases, these will offer more value overall and you will have more success, regardless of the winner of Super Bowl 53.